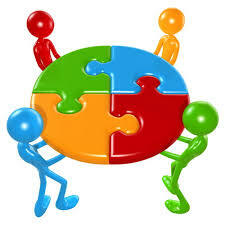 Merriam-Webster defines networking as the cultivation of productive relationships for employment or business. As a business owner, especially the home based business owner, networking can be a great way to share their business. There are a variety of networking opportunities in your local community. Networking can be time consuming and costly so it is important to do some research in order to find the networking opportunities to suit your needs. One of the things to consider is how the meeting is structured. You may find that many of the networking events are too structured and allow little time for cultivation. On the other hand, networking mixers have little structure with ample time to network but they still fall short in the cultivation department. Small intimate networking events may be the answer you’re looking for. One such organization is The Inland Valley Business Community Foundation’s (IVBCF) with one of its core value of fostering long-term relationships. This is accomplished by offering a variety small intimate relationship building opportunities at various times and locations. As a bonus, all members of IVBCF are given the opportunity to facilitate one of the meetings. Furthermore the facilitator is given leeway on how to run the meeting. For example, Dale Simmons, the facilitator of the IVBCF August networking breakfast assessed the members in attendance and determined that everyone was familiar with each other’s businesses. He decided to forgo the formal business introductions and instead asked everyone to share something good that happened to them in the prior week. Once everyone shared, the floor was open for questions and comments. Everyone was in agreement that they learned more about each other than they would have with only giving the normal two minute business introduction. So if cultivating relationships are important to you and your business make sure to attend several different types of networking events before making any kind of commitment to join.